This oceanfront home is a mere 1914 square feet including a 2 car garage. It was conceived as a beach house for a couple from out-of-state. 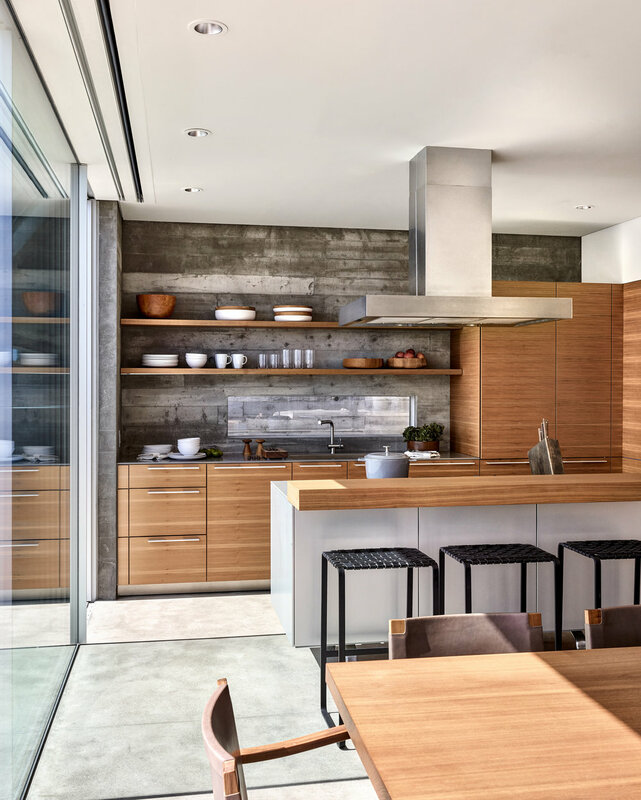 The open plan (living, dining, kitchen) stretches across the site and extends out to the oceanfront terrace to maximize their relationship with the water. The large panes of sliding glass seam to “disappear”, allowing the outdoor terrace to expand the casual living space. The Master Suite was placed on the second floor to capture the views up and down the coast while maintaining its privacy. Two bedrooms each with its bath complete the home. 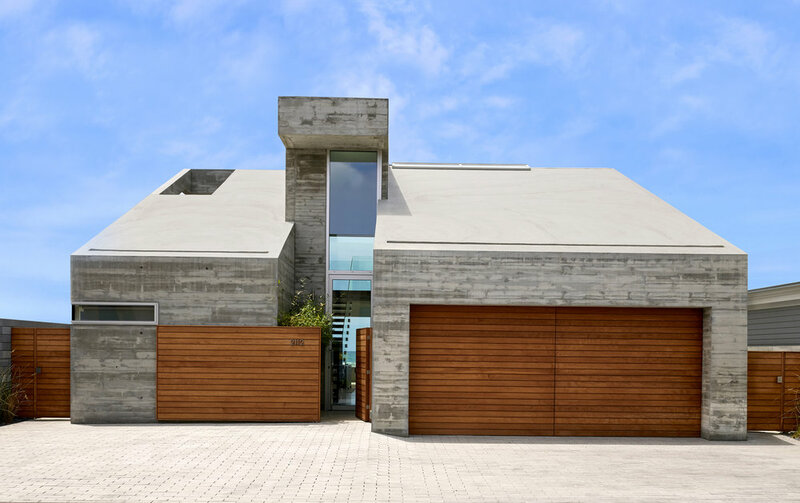 The board-formed concrete was chosen for it’s durability near the water and it’s warmth of texture. The teak adds warmth to the exterior while the walnut cabinets and bedroom floors soften the interior. The etched concrete floors continue inside and out.